One of the most popular positions at CVS is pharmacy technician. With a decent starting pay and rapid opportunity for advancement, this position is ideal for many individuals looking for a career in healthcare. In this article, we look at some of the things you should know about the CVS Pharmacy technician job position, includin CVS Pharmacy technician job description, CVS Pharmacy technician salary, and work hours..
CVS Pharmacy Technician Job Description & Duties: What Does a Pharmacy Technician Do? The CVS pharmacy technician role requires someone who displays a great deal of attention to detail. In addition, you must be able to thrive in a fast-paced environment while remaining patient as you assist customers with a wide range of different needs. With daily responsibilities that range from ringing up merchandise to filling medications, the ability to multitask is key to continued success. The working hours for pharmacy technicians at CVS can vary considerably from location to location. These positions can be full-time or part-time and work anywhere from 20 to 40 hours each week. Shift times can vary as well with this position with many locations being 24 hours. A strong preference is given to applicants who have complete open availability to accommodate the store’s needs. As a CVS pharmacy technician, you will be working on your feet for the full duration of your shift. You will also be bending and crouching frequently as you reach for various medications. The most important fact to remember is that you will be working directly with people and answering any questions that they may have. With this in mind, a strong sense of empathy and patience is crucial to your success in this position. In many cases, customers will be sick and are looking for someone who is understanding of their situation. The starting pay for most CVS pharmacy technician jobs is around $11 an hour. In some cases, already possessing a valid pharmacy technician certification can slightly increase the starting pay rate. In addition, speaking a second language also frequently earns an increase in pay as well. As for benefits, CVS pharmacy technicians are eligible for benefits like 401k, health insurance, and paid vacation. In some cases, the company will also reimburse employees for ongoing education that relates to their position as well. 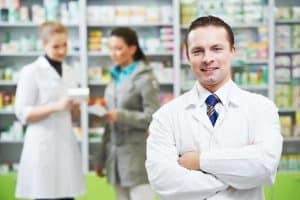 Though the pharmacy technician position at CVS can be quite demanding, it can also be quite rewarding helping people when they need it the most. 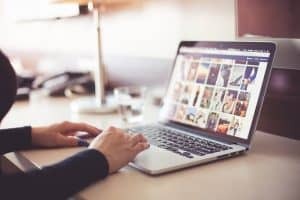 By displaying a genuine sense of empathy and working as efficiently as possible, you can increase your chances of being successful in this position. To find out what openings are available in your area, check out the CVS jobs page for more information.